As I watched the opening ceremonies of the London 2012 Olympic games recently, I felt excited, and maybe a bit nervous, to see how the widely disliked logo would extend through the games. 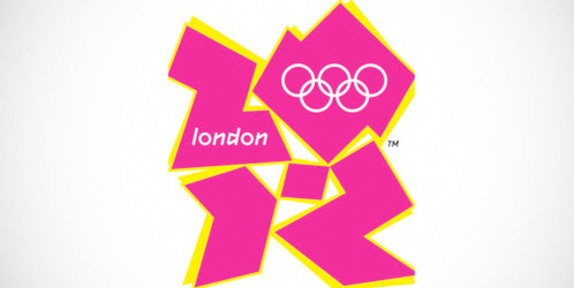 Designed by International brand consultants Wolff Olins, the London 2012 logo has undoubtedly made an impression. The branding project, started in 2007 for a mere $800,000 has caused some to wonder how a logo such as this was so expensive. One week in to the games, I am starting to see just how cohesive and integrated this brand is. At first glance, the logo appeared as a clunky mess with neon colors (not the typical signs of a successful brand.) This is exactly what, five years later, is making this logo a success. The overall wackiness and undeniable freshness creates an instant reaction that is hard to ignore. 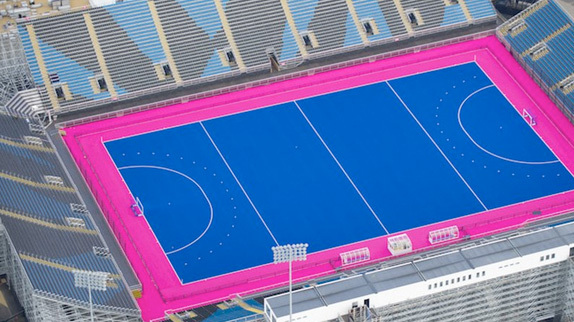 Regardless of your preference in color choice, the bright, over saturated colors of the brand are cheery and sporty which fit well with the feel of the Olympic games. A custom typeface was also created for the games, using angular, sharp letterforms to create the feeling of movement and energy. 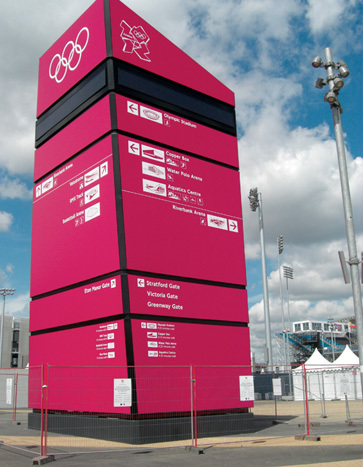 After the past few years, LOCOG has put hundreds of people to work creating thousands of visual elements for the games, from the signage to the torch design to the color of the seating. The high energy of the brand was aimed at younger generations with the intention of including everyone(although Iran may not feel the same.) 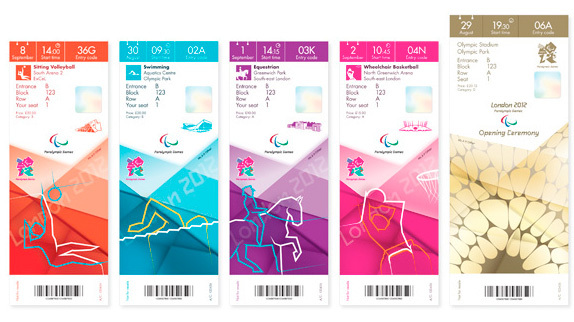 To put things in perspective, organizing the design for the Olympics games means creating visuals for 26 olympic sports, 20 paralympic sports, 14,700 athletes, 21,000 media, and 10.8 million ticket holders which is the equivalent of staging 46 world championships simultaneously. Not a small task. In my opinion, this is the type of brand that may look silly and unorganized, but seeing the visual elements expertly placed throughout the games gives it the credibility it deserves. So after all this work going into the brand, it makes me wonder why NBC has decided to use a different logo for their coverage of the games. This is the one channel in which the majority of US viewers will witness the games and it is fogged by a typical shield shape logo using the Big Ben and Union Jack as the focal point. This instantly throws off the feeling of the brand that should, in my opinion, be used throughout all media coverage of the games. Perhaps NBC couldn’t gain the rights to use the London 2012 logo in their coverage, but it simply disappoints to see a cohesive brand cluttered by a completely different look and feel. 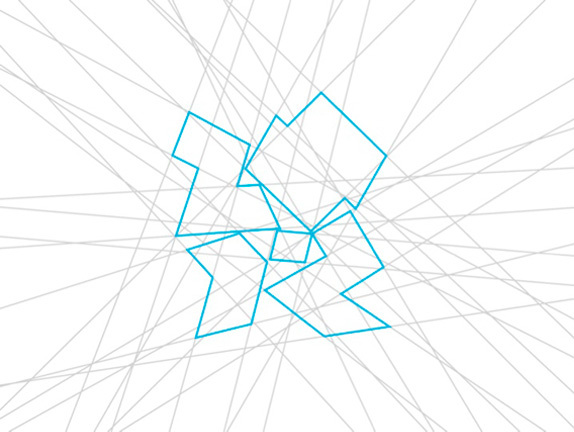 In closing, I have to give credit to Wolff Olins and LOCOG for defending and sticking with their logo for the past five years. It is paid off and I’m sure is creating an unforgettable experience for everyone attending the games. Hopefully in coming years, the Olympic brand will be pushed through to every media outlet in order to create a seamless experience for everyone around the world.